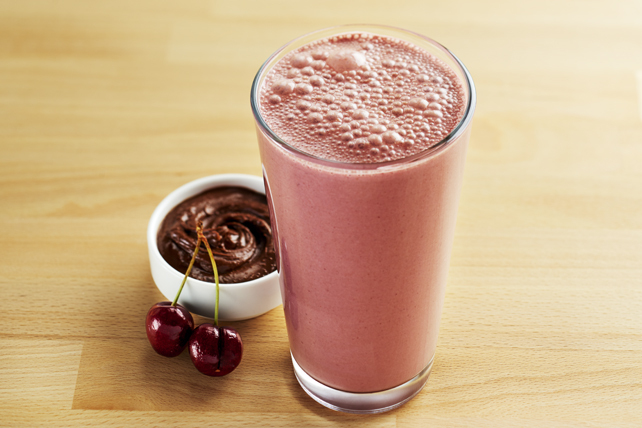 Boost your protein intake with this delicious smoothie. It contains 22g of protein per serving! Place all ingredients except ice in blender until smooth. Substitute your favourite fresh or frozen fruit for the cherries. Prepare using your favourite variety of Kraft Peanut Butter.